This commode is designed by the Russian studio Soha Concept. 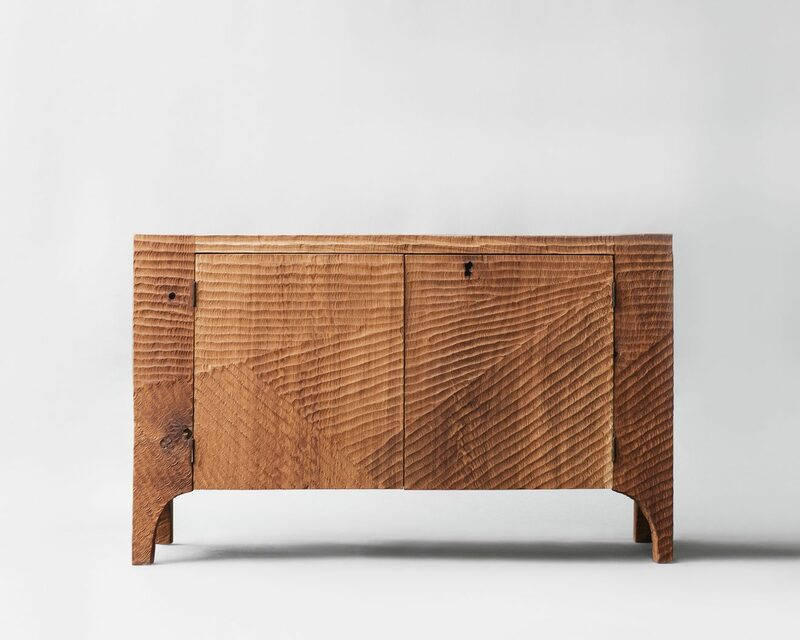 Founded by Milovanov, Soha Concept conceive and produce furniture design and decorative objetcs in solid oak in a brutalist and authentic style but always elegant. All Soha’s creations are executed in one unique style based on the aesthetic properties of long-established wooden architecture in the North of Russia. Wood is masterfully hand processed with chainsaw, which produces beautiful surface patterns. 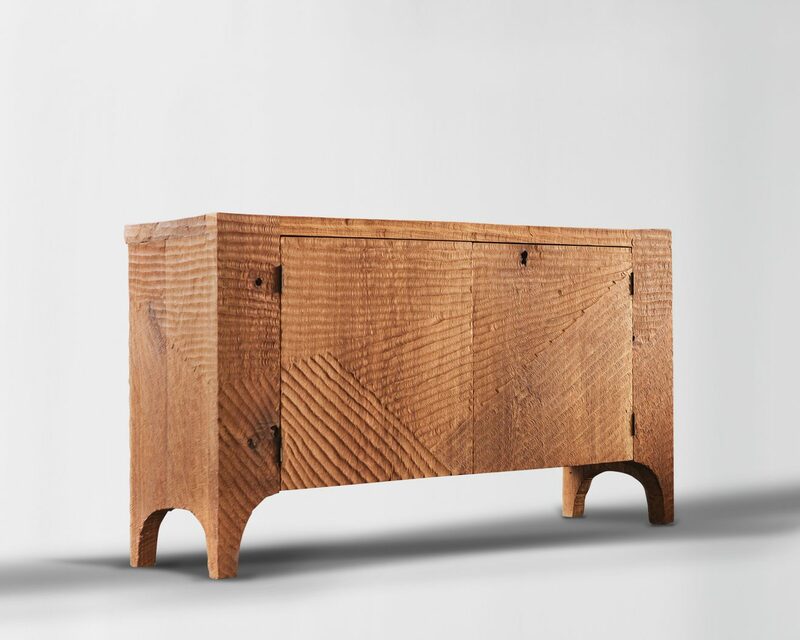 In accordance with traditional Russian woodwork principles the resulting shape is boiled in linseed oil to expel natural moisture and increase durability till wood attains a noble and reserved shade of color. Each piece is one-of-a-kind handmade article.